Did you know you can pay off your mortgage early, just by paying extra on your principal payment each month? This calculator will help you estimate the additional principal payment you should make in order to shorten the term of an existing mortgage to a specified number of years. 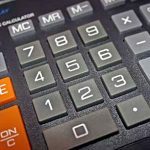 Disclaimer: The accuracy of the results of this calculator is not guaranteed as well as its applicability to your particular circumstances. It is intended to give you an idea of how quickly you could pay your mortgage off, based on different scenarios. Thinking of refinancing your home instead? Fill out the quick application for to the right or give the licensed mortgage professionals at Maple Tree Funding a call at 518-782-1202. We will help you understand all your options, based on your current financial situation and the specific details of your existing home mortgage. Thinking about paying off your home loan early? Check out these resources to learn more about the advantages of paying off your mortgage faster than anticipated. The Benefits of Rounding Up Your Mortgage Payments – Find out why paying just a little bit extra each month is well worth it in the long run! When Can I Stop Paying PMI? – Paying off your mortgage faster means you can stop making mortgage insurance payments sooner, saving you money. Learn more! Understanding Your Monthly Mortgage Payment – Find out what’s covered by the mortgage payment you make each month.